Look at the photo and write the news. Digital classroom resources for middle school media literacy. 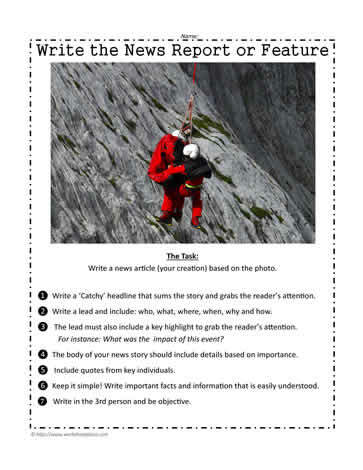 8th grade, 9th grade and 10th grade media literacy worksheets and lessons for writing news reports.